Jordan "JWPRODIGY" Westmorland analyzes a bubble hand bluff in the #PSCBarcelona Main Event. A big stack puts a lesser stack to the test with a big bluff on the bubble of the #PSCBarcelona Main. The tournament bubble is a great time for bigger stacks to pressure those with fewer chips. Doing so often enables those with above average chips to accumulate even more heading into the late stage of the tournament, positioning them well to further their runs to the final table where the big payouts await. 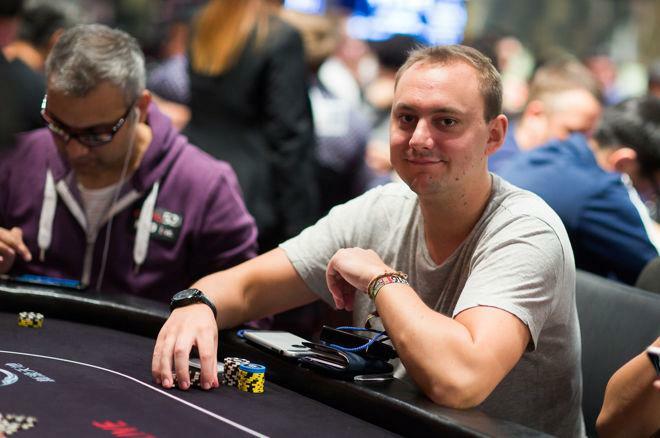 Jordan Westmorland took just such an approach yesterday on the bubble of the PokerStars Championship Barcelona Main Event, and during a subsequent break spoke with our Sarah Herring about an interesting bubble hand in which he attempted to bluff a shorter stack. Westmorland is best known for his online success where he plays under the name "JWPRODIGY." Indeed, his achievements on the virtual felt has been prodigious, as he has earned more than $4.8 million lifetime in online poker tournaments according to PocketFives. He yesterday added another live cash in the still ongoing PSC Barcelona Main. The hand analysis begins at about the two-minute mark of the video below. There were 249 players left, with 247 making the money. Westmorland had a big stack at his table, and as he starts out explaining that obviously gave him more options, allowing him potentially to pressure the shorter stacks concerned about missing the money. A good player opened from middle position and another player Westmorland didn't know called. Next to act, he looked down at -offsuit and saw it at a good opportunity to raise as a "squeeze play." The original raiser folded and the caller sitting on Westmorland's right with about 30 big blinds chose to call once more. As Westmorland explains, the call indicated his remaining opponent didn't have the top of his range. The flop came , and after his opponent checked Westmorland bet one-quarter pot and got a call. The turn was another and Westmorland's opponent checked again, and this time Westmorland checked back.